. @FritzingOrg #Fritzing MOAR! TCA9548A, BMP180,183,280,BME280,MPR121 « Adafruit Industries – Makers, hackers, artists, designers and engineers! And the new Trinkets with MicroUSB connectors! 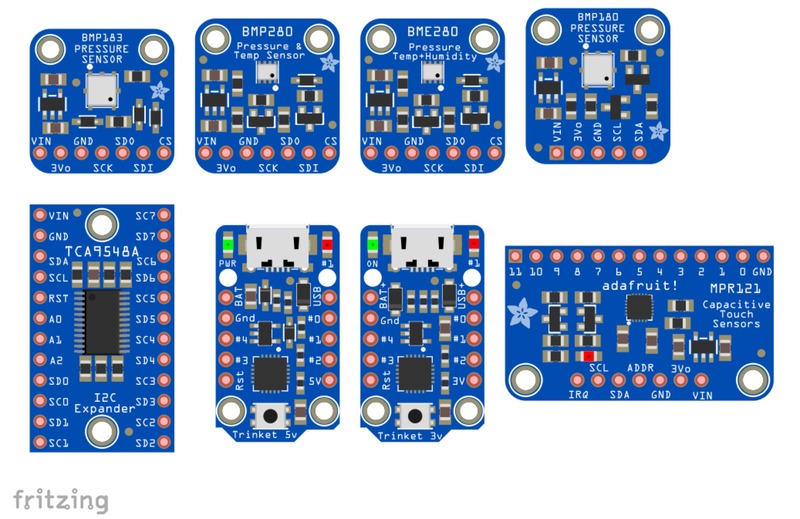 All available at the Adafruit Fritzing Library!